I see a lot of people complaining about the fact that they do not have money to make investments. Some say that they cannot start a company because of lack of funds. Others say that they cannot buy an extra membership to a tool that they would need because of this lack of cash. The truth is that in most situations the problem is not a lack of funds, it is a lack of understanding how to manage personal finances to actually get the needed cash. Many things can be done to get the funds that you need in order to be able to afford making some business investments. In this article I am giving one example that I normally give to people when talking about this, especially smokers. Running a successful business requires dedication and sacrifices. There are many different ways in which you can quit smoking. Once you do that, you can get a lot of cash, more than many expect. I might be mistaken since it is possible that I do not know prices that well. If you guys know differences, please let me know. In USA, a pack of cigarettes is around $9. The average smoker smokes 1 pack per day. 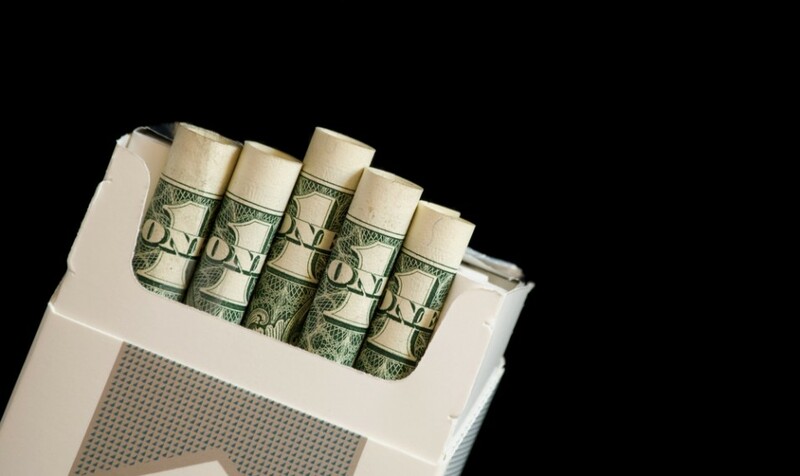 During a one month period, the average smoker ends up spending $270 on cigarettes. In Canada, a pack of cigarettes costs 12 C$. Based on the same math, we end up at a monthly expense of around 360 $C per month. That is around the same value in US dollars as the other example. If we factor in extras associated with smoking like increased coffee consumption and buying more gum, the amounts can go even higher. As you can so easily notice, you can afford a lot when you just quit smoking. You also get to improve your health, which is definitely something you want. Having a healthy lifestyle helps when you do business online since you will spend so much time at a computer desk. However, this is an entirely different topic. Are you a smoker? Quit! Believe it or not, it is as easy as that. If you do not do it for your health, do it for the financial gains! Having 300 extra dollars in your pockets available every single month is definitely something that most people do not have. Do you want even more? The Stick Vacuums recently published a highly comprehensive article about saving money, called How To Save Money Each Month – 76 Easy Things You Can Do Right Now. Good tip Adrian. I quit smoking when I moved to Canada just over 2 years ago and it has saved me a ton of money in the long run. Plus I’m a lot healthier and my overall life is just better. Sometimes I do miss it a little, but I have plenty of other things to distract myself with! Very good Tom. I still smoke but from one pack a day I just smoke around 1 per week. It is definitely an immediate improvement in health and income at the same time, even in this situation. If people can afford to smoke and they choose to do so, that is quite ok. However, most that do smoke and want to have their online business usually do not understand how much money they can put into the business through this simple process of quitting.